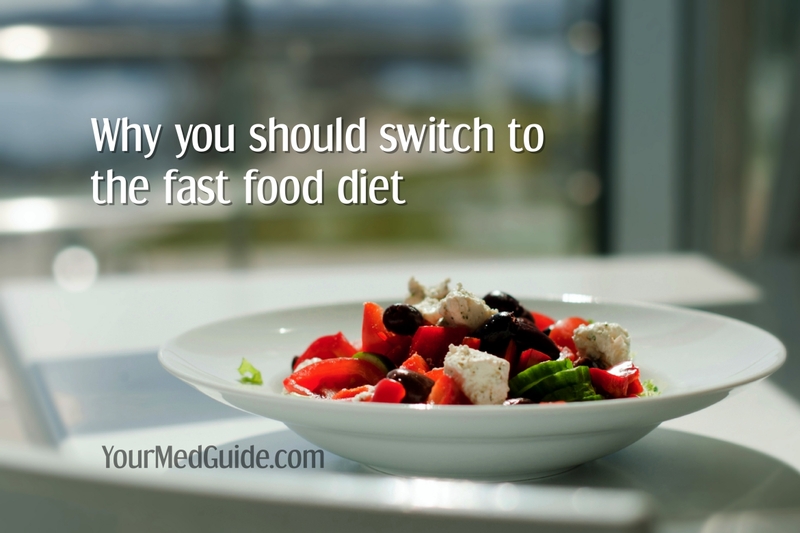 I love the fast food diet–more so because I have diabetes–and I am about to tell you why you should switch to it, too, and right away! The word diet always conjures up visions of banned foods—as if you can’t eat the foods you enjoy. Diet seems synonymous with starvation. The problem with most diets is, they do have restrictions of what you can eat and cannot eat. To me, the ideal diet is the fast food diet. I mean, fast foods provided by Mother Nature. Natural foods are the best fast foods, if you ask me. And you cannot deny that Mother Nature does care for us and offers up weather-friendly foods. Take for example summer. We have water melons, mangoes, musk melons, grapes and so on. With these around, who wants to eat those greasy heavy meals? Summer is that time of year when you can’t get enough liquids. And these fruits are ideal to keep yourself hydrated while satiating your hunger. And infinitely better than sweating it out in the kitchen in warm weather. We also get carrots, cucumbers, tomatoes, capsicum and a variety of fresh lettuce – ideal for salads. Perfect for summer health. Wondering what my point is about the fast food diet? Fruits and vegetables are Nature’s fast foods. Ready to eat. All you need is a refreshing glass of water to go with it, because nothing quenches your thirst like water. The great thing about these natural “fast foods” is that they taste good, and make you feel full, while automatically switching you to a healthy eating plan. Your body detoxes naturally, too. You really can’t argue with the fact that these readily available veggies and fruits strengthen our immune system while helping us stock up on vitamins and minerals to stay strong and healthy. Come on, you’ve got to hand it to Nature. But how can one stick to a fruit and veg diet? Maybe you think it’s not that easy to stick to a fruit and veg diet, right? But that’s okay. We are only human and we can’t help craving for all those yummy comfort foods—the baked stuff, the fried stuff—once in a while. The good news is—when you work in fruits and veggies on a daily basis—you can banish feelings of guilt because you’ll feel quite energetic and full without actually going on a diet. Here is the thing: if you’re carrying around excess baggage on your body, consider a natural fast food diet of fruits and vegetables rather than reach out for those slimming products. It is an effective long-term strategy to stay fit and reach a healthy weight. Decades ago, I was quite crazy about ice-creams. The ice-cream parlor near our place had a fabulous range and every night, after dinner, on the pretext of going for a walk—I’d stop at the ice-cream parlor (so considerate of them to stay open late) and have a generous helping. Well – just a couple of months later, I was puzzled to find that some of my clothes did not fit. Oh well, didn’t take rocket-science to figure out that the ice-creams were the culprits (not me, mind you!). So—to compensate, I thought I’d skip lunch every day. And ended up consuming several cups of over-boiled yucky tea. Mom decided to take matters in her hands and together, we decided to make some changes. (She was my partner in crime over the ice-creams although she didn’t put on weight. Sigh). We stocked up on fruits and veg. Every morning, we made a veg-rich soup for breakfast. I stopped tea completely. Not my morning coffee though–that would be plain crazy! I carried sliced, diced, shredded or whole carrots or radishes as a snack to work, alternating with tomatoes, cucumbers, baked sweet potatoes—and just about anything that constituted as natural, oil-free and healthy. I did drool at French fries, but let’s not go there. I resisted the temptation, though. The amazing thing is I shed that extra weight thanks to the veg and fruit. I also went for a brisk walk—right past the ice-cream guy. His sales may or may not have dipped, but that’s not relevant here. The natural fast food diet worked for me. Another interesting side effect was – now that I had gotten into the habit of carrying salad as a snack, I stopped drinking tea and coffee during the day. I stuck to water. Include fruit and vegetables in your diet. The fiber will keep you full, keeping your digestive system functioning efficiently and helping you manage your blood sugar levels. 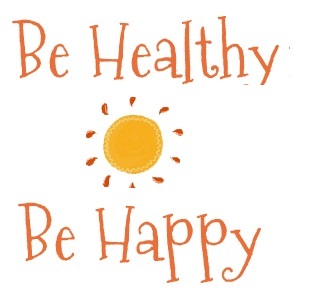 The vitamins and minerals will keep you healthy. And you’ll generally feel more energetic and—you’ll feel great about yourself. Your heart will thank you, too!